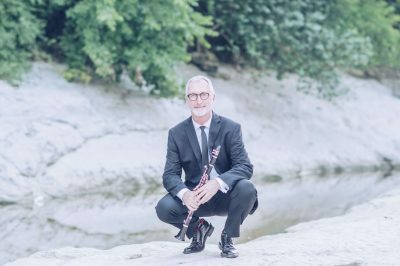 I am excited about my new website, and about having the opportunity to blog about music, clarinet playing, and life in general. For my first official entry, I want to focus on gratitude and how thankful I am for everything that has brought me to this moment in time, including the friends and sponsors acknowledged on my home page. These friends and companies have been an important part of my professional life for a long time and continue to support and inspire me in countless ways. I’ve known Audrey Andrist and James Stern since we were students at Juilliard in the late 80’s, and we have been performing together as Strata for almost 30 years. Our trio evolved organically: Audrey and I entered the doctoral program the same year, and James was one year ahead of us and living in Cleveland. The two of them were soon to be engaged and had already been performing together as a duo. When Audrey and I met, we quickly became close friends and were soon performing together. 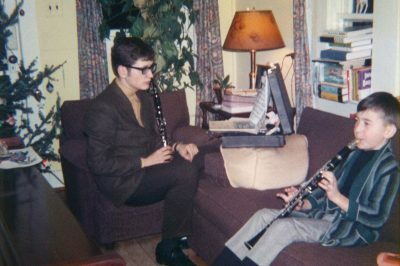 I met James when he returned to New York to visit Audrey and perform a recital. (I turned pages for Audrey at that concert.) The two duos came together as a trio when we began to include Bartok Contrasts on some of our respective duo programs and discovered the joy and inspiration we found in making music together. Over the years, we’ve grown even closer and consistently challenge one another to be the best we can be. We continue to commission new works and perform all over the country. Rehearsing and performing with James and Audrey is as natural as breathing, and I’m so thankful to have such a special and longstanding professional and personal relationship with them. 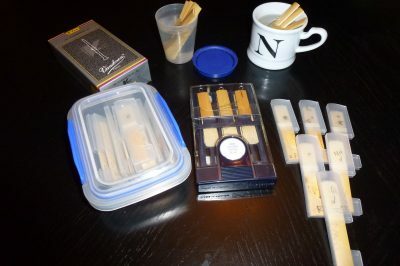 I had been hearing about Brad Behn’s work for a couple of years before I tried his mouthpieces for myself. 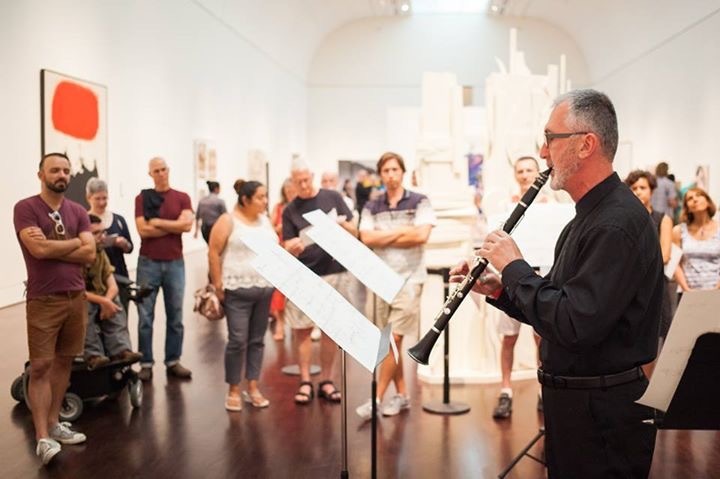 The new material he developed and patented for the mouthpieces was particularly interesting, as were the results I heard in other clarinetists, who sounded even more beautiful after they started playing his equipment. But I was happy with what I had been using for a few years and was in no hurry to change when, alas, I dropped and broke my favorite mouthpiece when putting away my instruments after a recital. I strongly believe that everything happens for a reason, and that experience opened the door to my exploring other options sooner than I might have otherwise. Brad had a very thoughtful and detailed conversation with me about the qualities that were most important to me in a mouthpiece and then he sent me a variety of options to try. I chose a mouthpiece from that batch that I have played most of the time since then, and another a few months later that I have also used quite a bit. When I’m playing those mouthpieces, I really feel that my authentic voice is coming through, and have the sense that I can navigate the instrument more easily than ever. I’ve also received more compliments on my sound since playing his mouthpieces than ever before, which is always a great feeling! I’m grateful for Brad’s beautiful and caring craftsmanship, as well as for his friendship. I would also like to express my enormous appreciation and gratitude to Terri Golas for her wonderful work on this website. She is a terrific web designer and an amazing human being, and I can’t begin to express how much I appreciate her time and effort. I am also grateful to ROCO for allowing me to use a couple of publicity shots that were originally taken for use on the ROCO website. Last but not least, huge thanks to Matt Bradford (www.hankntank.com) for his wonderful photography. He took some great new shots specifically for the website, but I’m already using them for other publicity, as well. Thanks for making me look good. Just as it says on my home page, my heartfelt thanks to all these incredible friends and sponsors!